I love accessories: bags, jewelry, shoes, hair stuff, you name it. My girls seem to have taken after me. 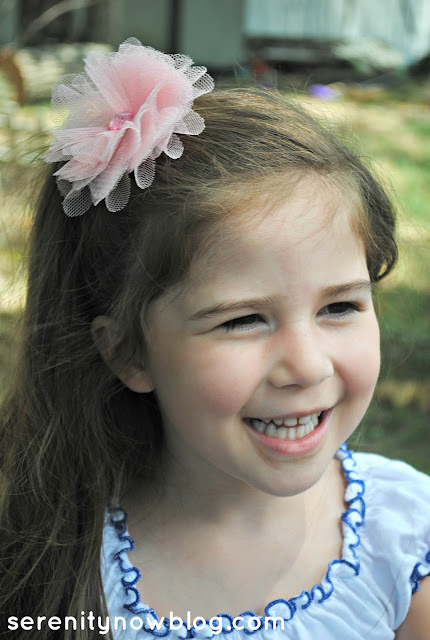 I stopped in to Michaels on Saturday and spotted some adorable flower embellishments on clearance. They came home with me for $1.39 a pair. 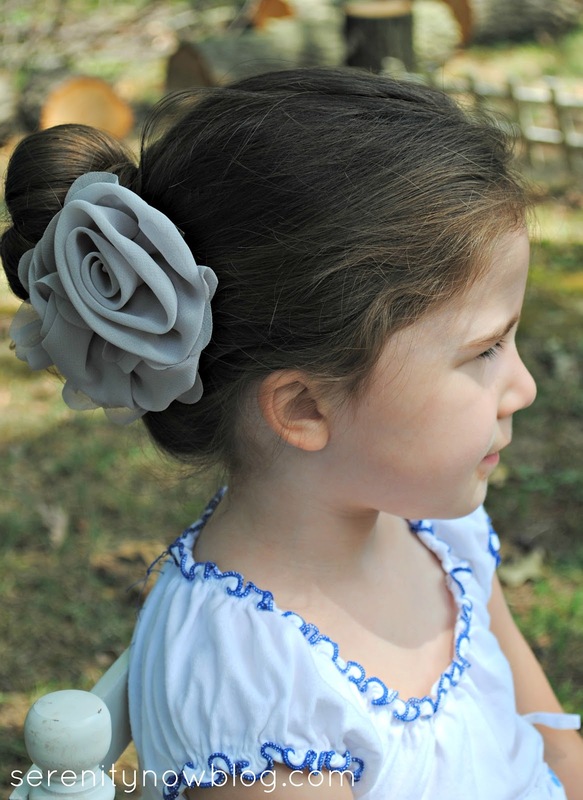 I wanted to show you how to make some simple DIY Hair Accessories. They'll take you 5 minutes (or less!) to put together. Great for back to school! *You can find alligator clips at craft stores, but I also buy them at beauty supply stores, like Sally. Around the holidays, craft stores run low on inventory (Etsy sellers, maybe? ), but our local beauty supply store always has some in stock. 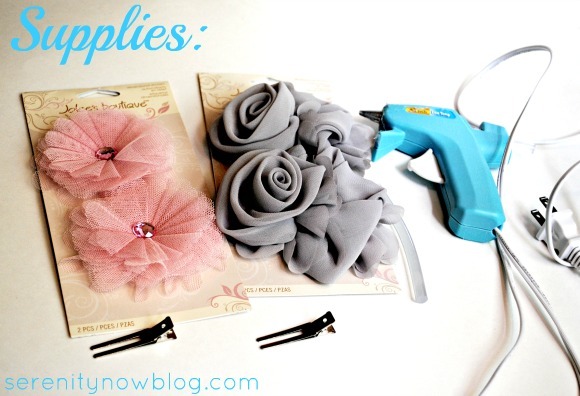 Heat your glue gun up and gather your supplies. 1. Turn the embellishment over and grab your alligator clip. 2. 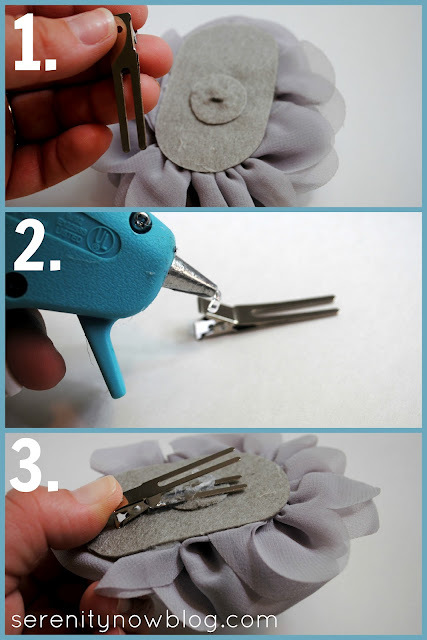 Add a healthy amount of hot glue to the top of the alligator clip (the part that is slanted). 3. 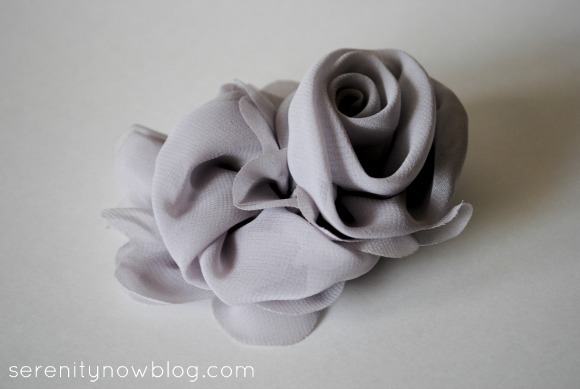 Press your embellishment (fabric flower, button, lace, whatever) into the hot glue and let it set. That's it! 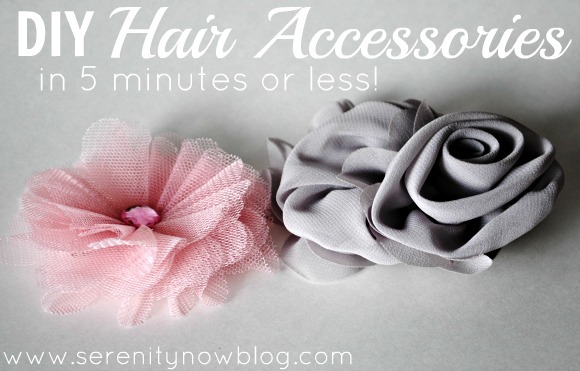 Now we have pretty, flirty hair accessories that the girls and I can swap and wear! 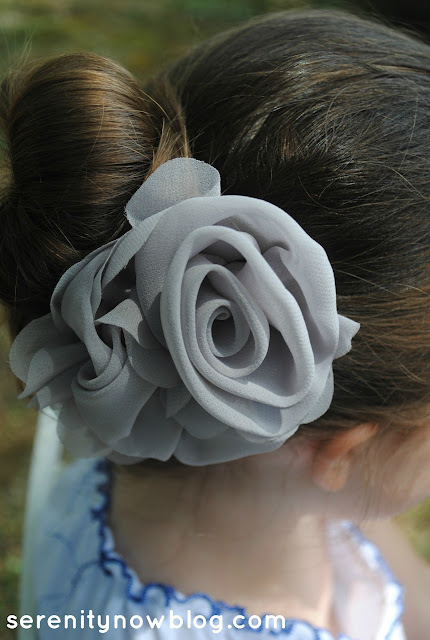 Once my glue gun was heated up, I made each of the hair accessories in about a minute. It doesn't get much easier than that! What's your favorite quick craft? Very cute! Thanks for the recommendation on Sally for supplies - I had never thought of that! I'm glad that you have your header issue resolved! Very cute! Your girls will enjoy wearing these to school this fall. I was just thinking that those alligator clips would be good for more that just hairbows--I'm thinking that some embellishments like the ones you've used could be a cute thing to clip onto a purse, briefcase, coat lapel, etc. Much easier on the material than a pin! So cute!! They would definitely cost more than that as hair clips. Fabulous idea! Very Nice. My girls would love them. The pink flower is my favorite. Too cute! 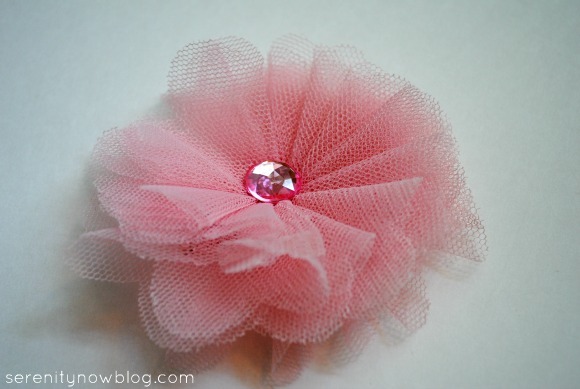 I need to make me some, but maybe less frilly?? I love these. They are really cute. I have a link party on Wednesdays, and I would love it if you would link this post. It is called Wednesdays Adorned From Above Link Party. PS I love your link party. I am there every week. So cute, Amanda! And I love how quick and easy these were to make. These are cute. And much simpler that the ones I usually make. Cute and quick! I'll be snooping around the clearance in my Michael's now. Gorgeous! Gotta love pretty and easy!